Come and get groovy with us! 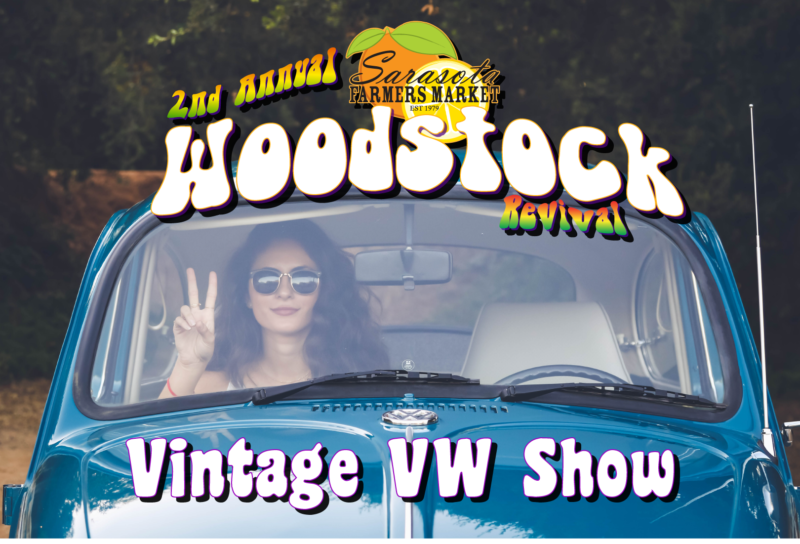 We’re inviting local vintage Volkswagen owners to participate in a fun Vintage VW show with prizes for the winners. Space is limited. To enter, contact us at 941-225-9256 or use the form below. Exhibitors must sign up prior to the event at www.sarasotafarmersmarket.org. Deadline to register is Friday, August 10th at 12 pm. Categories for Awards include Best of Show, Best Oldest, Best Farthest Entry, Best Bus, Best Beetle, and Best Thing. All participants will stay until the end of the event or when the organizer feels it is safe to exit. The event is 9:00am-2:00pm.